Breakfast is the most important meal of the day, and at Springmoor most residents opt for something easy to prepare in the comfort of their own homes. On some mornings though, a bowl of cold cereal or piece of toast or two just doesn’t cut it. On those days, plenty of tempting breakfast options are conveniently located right in the neighborhood. Starbucks is a fantastic place to slip in and slip out, or get warm by the fire, with a hot coffee and a light breakfast. They have always served a variety of coffees, espresso drinks, teas, and a selection of breakfast sandwiches and pastries, but the recent revamping of their Perfect Oatmeal and new partnership with San Francisco bakery La Boulange guarantees the day will get off to a good start. 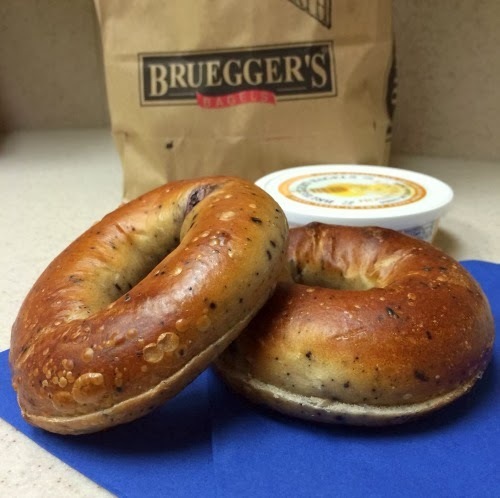 Bagels and donuts have long been a popular choice in Springmoor’s neighborhood, with Bruegger’s Bagels and Daylight Donuts occupying the same section of Stonehenge Market for decades. Bruegger’s bakes their bagels up fresh all day for breakfast sandwiches and topping with the dozen or so flavors of Vermont cream cheese. They even feature seasonal flavors in bagels, cream cheese, and coffee, with plenty of pumpkin available right now! Daylight Donuts are made from scratch daily and not only include the usual cake and glazed choices, but offer tons of popular flavors, “fancies”, donut holes, and even muffins, with the menu varying each day. It makes for a tough decision when the aromas of donuts and bagels collide outside! 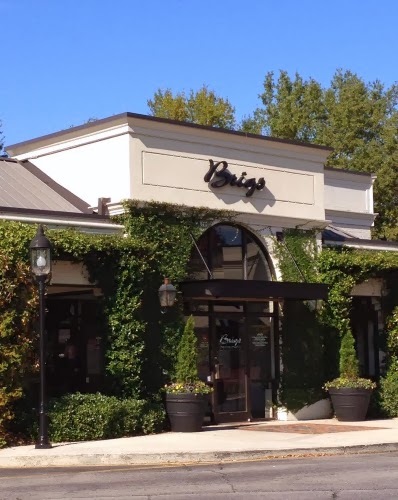 For a heartier breakfast, Brigs is just a short drive up Creedmoor Road. The menu has an almost overwhelming variety of eggs, benedicts, skillets, scrambles, pancakes, waffles, and Southern specialties, with specials rotating each month. There is certainly something on the menu to please everyone and it’s all reasonably priced. Just be sure to get there early on the weekends…lines spill out the front door! In addition to Starbucks, Bruegger’s, Daylight Donuts, and Brigs, great breakfast is available right under Springmoor’s own roof. Since 2009, Springmoor’s Garden Cafe has been serving breakfast to early-risers every day of the week. Residents and their guests can choose from breakfast sandwiches, eggs cooked to order, bacon, sausage, biscuits, and grits without even leaving the campus. Once the café in the new Wellness Center is complete, residents will have countless ways to fuel their days, all within about a mile from home.